Some more stamps from another series of King Christian X.. this time a right profile.. series (6) 1934/1941; I already talked about these 4 series of definitive stamps , that in my opinion are really beautiful and without doubts "must have" items (this is not a frequent classification , when we are talking about relatively long series with the repetition of just one design...) . 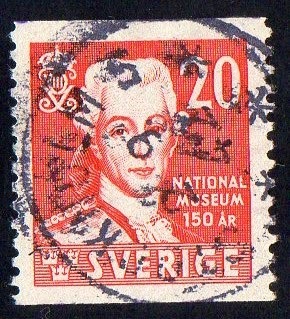 Now , we have some stamps of King Frederik IX.. ; to study these series , we must divide the stamps in 3 different varieties..
1) background just with horizontal lines.. The 3 stamps presented above, belong to the 1st emission of 1948/1950..the 1st 3rd stamps are type 3 and the 2nd is strange.. it seems to me that it is a type 2 but it cannot be , according to the catalogs. The perforation is 13 , for the all 4 emissions..
the first two stamps have the same SG code and different codes in Sc. 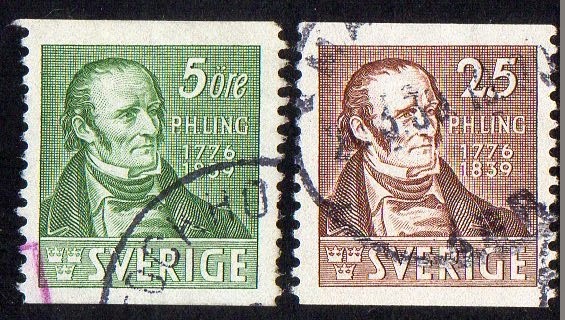 stamps from the 3rd and 4th emission of 1952/1953 and 1955..
from a series (3) 1939 "Death Centenary of P. H. Ling (creator of "Swedish Drill")"
[Left] from a series of (3) 1938 "250th Anniversary of the Birth of Swedenborg"
[Right] from a series (3) 1942 "150th Anniv of National Museum, Stockholm"
from the Series (4) 1965 "Nobel Prize Winners of 1905"... because of this stamps , I remembered that last month I had the opportunity of buying a beautiful thematic collection, mostly MNH stamps, of Nobel Prize Winners , with stamps from various countries.. of course , I didn't buy it because of my current financial problem... it is very difficult to be a stamp collector without money to buy stamps.!!.. I have to restrain myself of seeing stamps, auctions and those kind of things , because or I don't have the money or I'll end spending money I will need for more urgent matters in the future.. 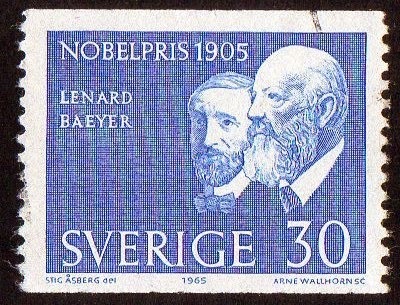 The personalities in the stamp are Philipp Von Lenard and Adolph Von Baeyer. 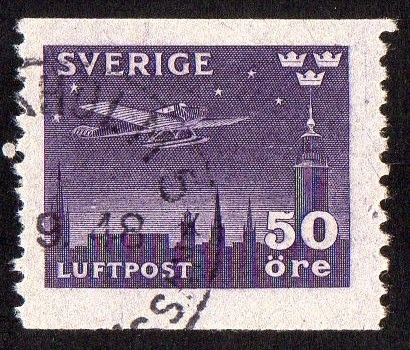 Air stamp from the series (2) 1930 "Airplane over Stockholm"
from the series (3) 1967 "World Handball Championships"
Hello!.. 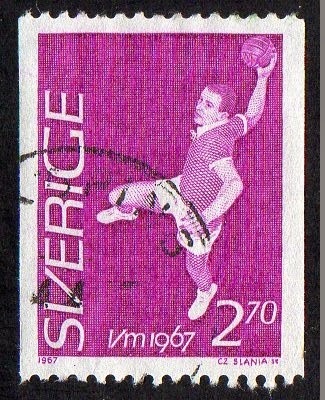 I'm Luis from 1967stamps..
thank You for Your visit to my blog and for Your comment..more then mastering a particular Philately , the collection is my way of getting "big pictures" of the 15 decades where this activity brought so many peaceful and pleasure moments to millions of people around the globe.. My favorite decades are the 20's , 30's and 40's, and I don't give any attention to the 1990's and 2000's.. 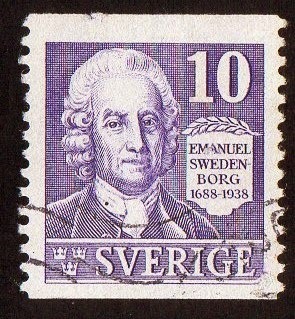 I will try to find , specific National Philatelic traditions and similarities between different Philately's.